Tamer Seckin, M.D., F.A.C.O.G. (New York) - Book Appointment Online! Dr. Tamer A. Seckin is a board-certified, advanced gynecologic surgeon with over two decades of experience in the world-class treatment of Endometriosis, fibroids and complex pelvic pain disorders. 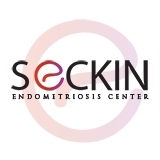 Internationally recognized for his successful treatment of Endometriosis, Dr. Seckin uses a meticulous technique that removes all disease - including complex and deeply infiltrating nodules - and restores proper pelvic anatomy. Known as Deep Laparoscopic Excision, this approach is in stark contrast to the numerous prior treatment failures most women and girls with the disease have struggled through. As a result, a vast majority of his patients dating back over two decades experience no disease recurrence, long-term relief, and the resolution of symptoms - including Endometriosis-related infertility in all stages. Dr. Seckin also successfully treats patients with associated conditions such as cysts, adhesions, Adenomyosis and other chronic pelvic pain pathologies. Additionally, he developed the bloodless myomectomy, a landmark procedure for the successful treatment of fibroids. Known for his warm, dedicated and continuous patient care and exceptional skills, Dr. Seckin leverages years of experience in successfully treating patients with even the most challenging of gynecologic concerns. Please visit all areas of this site and let Dr. Seckin know how he might be able to assist you or a loved one. it was straight to the point which i liked. no beating about the bush.